ROME, Italy (August 3) - Russia closed out women’s wrestling on the fifth day of competition at the 2018 Junior European Championships with two gold medals, bringing their overall gold medal total to five. This is an improvement from their three gold medal performance at last year’s Dortmund European Championships. Coming into the final day of women’s wrestling, Russia had two finalists and commanded a 26-point lead over second place Turkey who had a solo day five finalist. 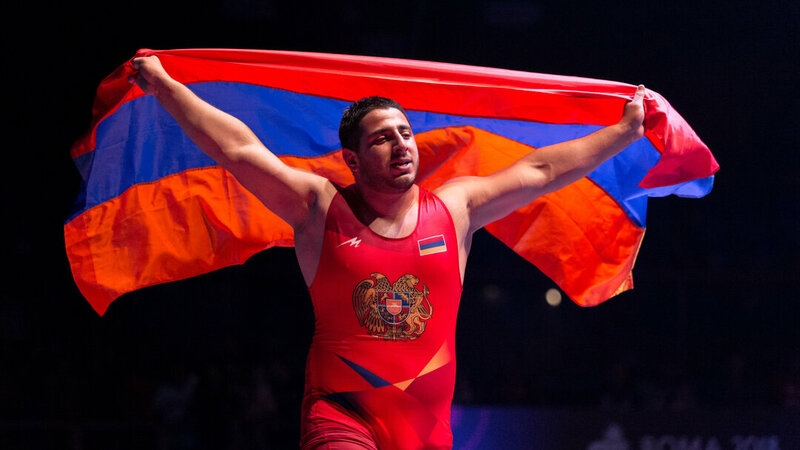 Russia remained in the lead throughout the day, claiming the team title 26 points ahead of Ukraine, who surpassed Turkey for the second place spot with their pair of day five champions. Viktoriia VAULINA (RUS) and Evgeniia ZAKHARCHENKO (RUS) each wrapped up their gold medal bouts early, squashing their opponents 10-0 on their way to the top of the podium. Viktoriia Vauline, the 2014 cadet world champion finally got her age-level European gold medal after closing out the past two years with second and third place finishes. In the 57kg finals, Vauline shutout Sara Johanna LINDBORG (SWE), 10-0, giving Russia their fourth women’s wrestling gold medal. Evgeniia Zakharchenko was the second Russian women and fifth overall to win a gold medal. 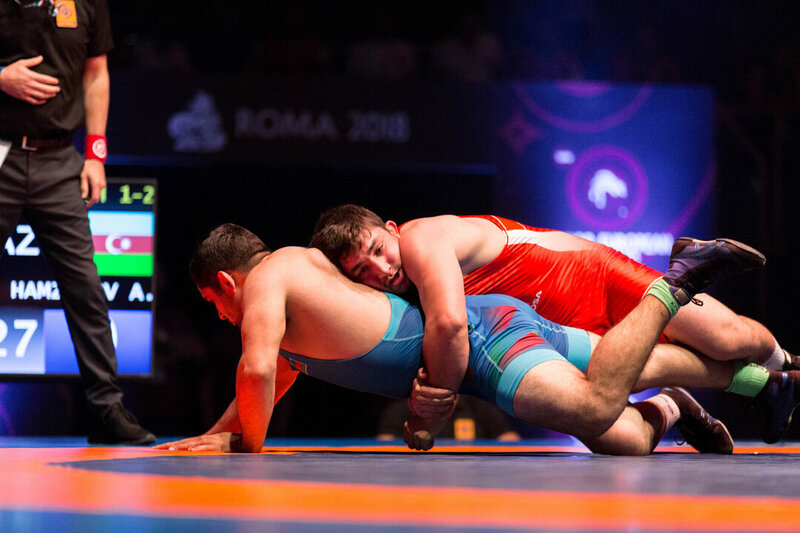 Zakharchenko only needed one minute to lock up a takedown and four trap-arm gut-wrenches, grabbing the 10-0 technical superiority victory over Enrica RINALDI (ITA). Big Move from Day 5 of the Junior European C'Ships #Rome2018 ! 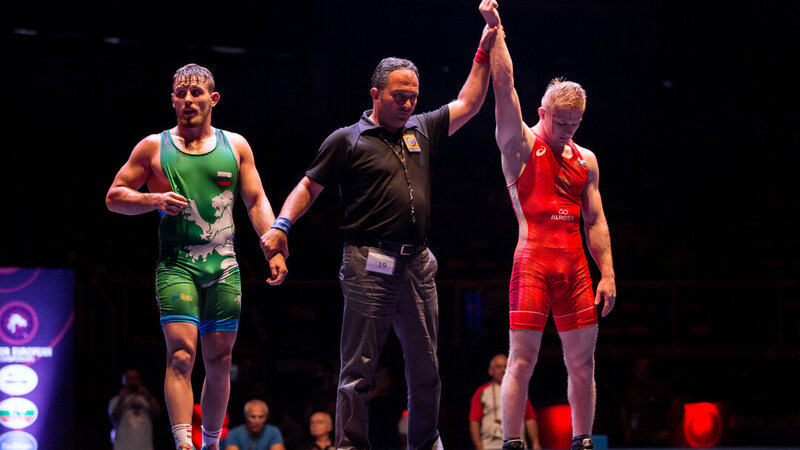 Wrestling resumes tomorrow with freestyle’s qualification rounds beginning at 10:30 AM (local time). The semifinals start at 5:15 PM and will be followed by the medal matches at 6:00 PM.